If your yard is full of brown patches, weeds, and generally is looking peaked, its chemistry might be out of whack. Your lawn’s soil nutrients might be depleted, and the ph (relative acidity/alkalinity) might not be optimal for your grass type. What does lime do for grass? Lime can restore your lawn and soil to its proper balance. Its alkaline properties can offset acidic soil and create a more optimal environment for your plants. Before you go buy a bunch of lime, it’s important to know how much you will need, which is dependent on the relative acidity of your lawn. You will, therefore, need a soil test. While you can test the soil yourself with a kit from your local garden store, you might be better off seeking help from a dedicated lab. For instance, if you are in Multnomah County, Oregon you can have your soil tested by A&L Western Laboratories. For those in, or close to, Clackamas County, the Clackamas County Master Gardeners occasionally host free ph testing events. A professional test will provide more information, and you’ll be sure the test is done properly. Before you test your soil, you want to determine where in your lawn to test. You might test soil from a big brown patch to see how to remediate the area, or you might test soil from an area you have designated for particular plants. For instance, you might want to grow Bermudagrass that will need a slightly acidic soil. To correct soil that is too acidic you can apply a small bit of lime. If, however, your soil is too alkaline, you can apply sulfur. Note that soil in the Portland area tends to be more acidic, and thus perfect for roses. Collecting a soil sample is a relatively simple task. Use a stainless steel spade, soil probe, or auger and remove a bit of soil. Then bag the samples in a clean, dry plastic bag. You can apply lime to your lawn or garden at any point in the year. However, the fall or spring is likely the best time to lime a lawn. Prior to putting lime on your grass, you will want to aerate your soil to ensure that the lime reaches as far into the ground as possible. Aeration will loosen your soil so that the lime can penetrate deeper and your soil can soak up more of it. Once you’ve tested and aerated your soil, you should have an idea of how much lime to apply to your lawn. If you haven’t done a test, but feel certain your lawn could use some lime, a general rule is to apply 40-50 lbs per 1,000 square feet. When it comes to actually putting lime on your grass, you can purchase a spreader from most any home and garden supply store. Liming your lawn can keep your grass healthy, and putting lime on your grass can ensure your yard returns stronger than ever the following spring. 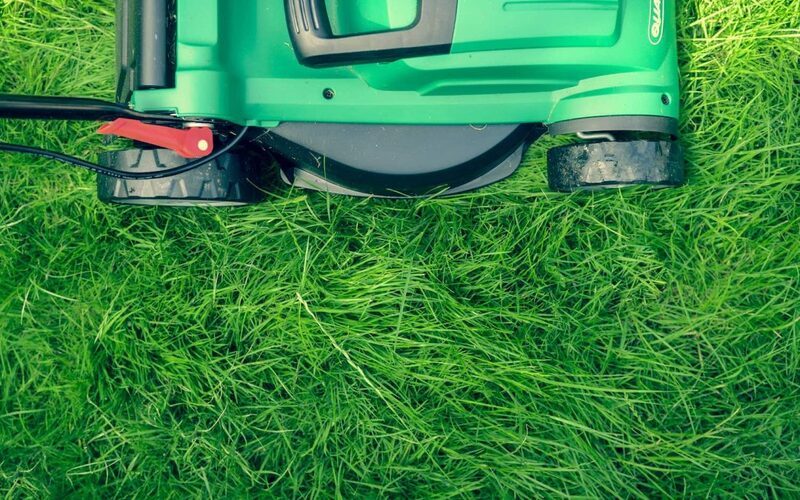 If you’d like help ensuring your lawn is completely taken care of, our landscaping experts at Crowley Landscape Management cannot only aerate and lime your lawn but provide a variety of maintenance to keep your landscape in optimal health. We work with commercial and residential properties. Reach out to learn more!